A glass of Aloe Vera a day ...keeps the. ., originally uploaded by ShashiBellamkonda. 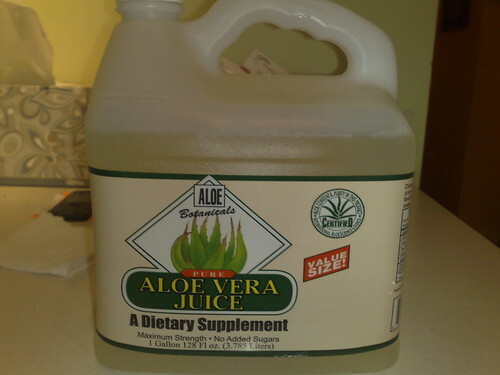 It takes some getting used to but a glass of Aloe Vera a day is supposed to be very healthy. I get this from the Trader Joe's in Reston. I have had people stop me in the store and say they drank this when they were active in sports. I am not but I feel this kind of rejuvenates your digestive system.